Jack A. 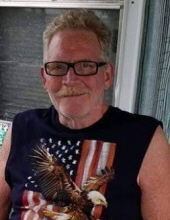 "Rocky" Rhodes Jr., 65, of Palmyra, MO passed away Thursday, April 4, 2019 in his home. Jack Rhodes was born December 22, 1953, in Los Angeles, California to Jack A and Gene Talbott Rhodes. He was married to Mary Harrell on December 26, 2007, Reno Nevada. She survives. Survivors include three children, Heather Monson (Brad), Jessica Rhodes (Tonya) of Medford Oregon, Jonathan Rhodes of Rogue River, Oregon. Four step - children, Whitney (Tim), Joshua, Amanda (Kevin) and Gary Matthew all of Palmyra, MO. His beloved baby dog, Sookie Rhodes, 16 grandchildren and 3 great-grandchildren. Professionally Jack was an Electronics Engineer for Hughes Aircraft. He loved to cook, garden, and spending time with his children and grandchildren. Jack was Christian by faith. To send flowers or a remembrance gift to the family of Jack A Rhodes, please visit our Tribute Store. "Email Address" would like to share the life celebration of Jack A Rhodes. Click on the "link" to go to share a favorite memory or leave a condolence message for the family.